1. The step servo motor is used to control the feed out with more accuracy. And the feeding speed can be adjusted depends on the wires. 2. There are Chinese or English versions of the panel and it’s easy to operate. 3. The cutting blade is V blade, and operated by double –powered cylinder thus it can cut the wires and cables within ø15 . 4. 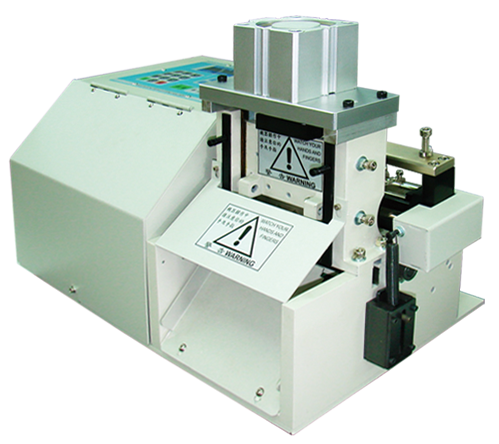 It can match up with FE-AF160A depends on the wires in roll or spool to cut more accurate size. 5. It can feed out depends on the material of wires and the cutting blade can be inching operate.